Black Sox video: 1919 footage shows thrown World Series (VIDEO). 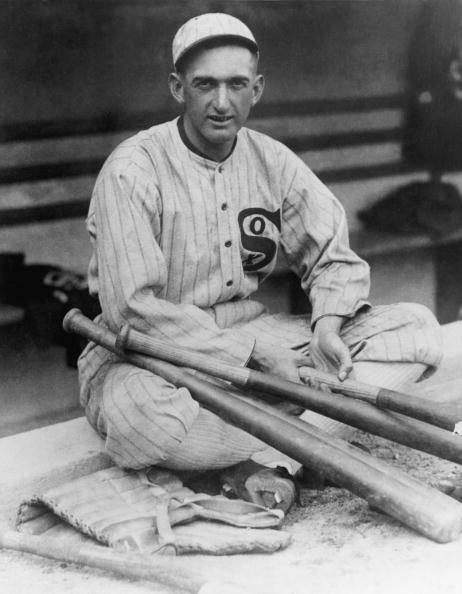 Via Deadspin comes news of what seems to be the best footage in existence of the 1919 “Black Sox” World Series, the thrown contest between the Cincinnati Reds and Chicago White Sox that led to the lifetime ban of Shoeless Joe Jackson, the institution of anti-gambling rules in Major League Baseball, and Field of Dreams. It was part of a cache of newsreels from the Canadian Yukon that were at one point used to fill in a swimming pool that was being converted into a hockey rink. The newsreels were discovered in 1978 and sat in an archive, and it was only this year that a White Sox fan working on a documentary about the lost films stumbled onto this one. Baseball historians’ fascination with the fixed Series has never really abated; for an overview, check out this 2005 piece that Stefan Fatsis of Slate’s Hang Up and Listen podcast wrote about the state of Black Sox-ology in the Wall Street Journal.